Field trip on the boardwalk at Sweetwater Wetlands Park. Photo by Trina Anderson, 24 Feb 2016. 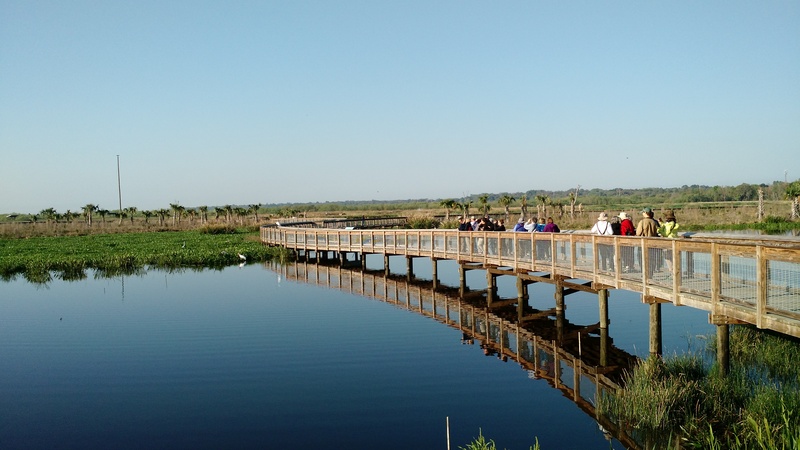 The Sweetwater Wetland is a state-of-the-art water quality enhancement system operated by Gainesville Regional Utilities (though the park is administered by the City of Gainesville). It is designed to remove nutrients and pollutants from the wastewater and storm water that flows from Gainesville onto Paynes Prairie. The park consists of three marshy basins ranging in size from 30 to 39 acres and the basins are encircled by six-foot-high dikes that serve as a trail system. The set of basins and dikes is itself surrounded by an overflow channel that looks like a moat. The whole park is 125 acres in extent. Limpkins, Wood Storks, and many species of wading birds can be seen year-round. Least Bitterns and Purple Gallinules are common in summer. Black-bellied Whistling Ducks are present most of the year and Blue-winged Teal for all but the summer months. More ducks arrive for the winter months. Shorebirds show up in shallower spots during migration. 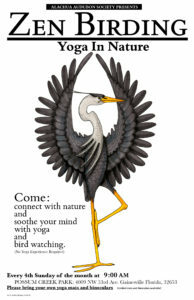 Many woodland birds can be found in the area between the parking lot and the wetland area. 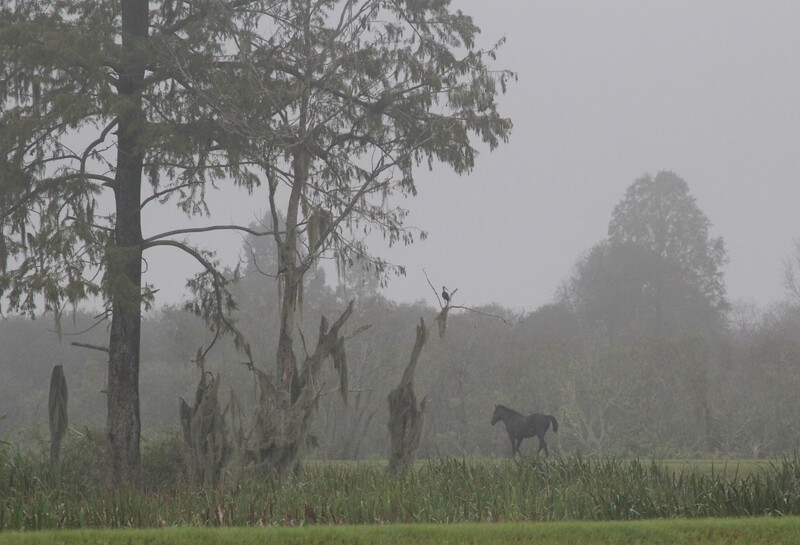 In addition to birds, wild horses, alligators, and other wildlife occupy the marshy habitat. Rarities found at the wetlands during its brief life have included Fulvous Whistling-Duck, Cinnamon Teal, Great White Heron, White-faced Ibis, Snail Kite, the county’s first-ever Gray-headed Swamphen, Buff-breasted Sandpiper, Cave Swallow, and Shiny Cowbird among many others. A covered pavilion houses restroom facilities and drinking fountains. Bike racks are also available. The 3.5 miles of trails consist of both gravel paths and boardwalk with covered benches scattered throughout. La Chua Trail. Photo by Conrad Burkholder, 11 May 2013. Due to the flooding of Payne’s Prairie, hiking is limited to the boardwalk as well as a bit of the grassy trail known as Sparrow Alley which runs NW from behind the barn. The La Chua Trail, part of the 21,000-acre Paynes Prairie State Preserve, is at the southeast edge of Gainesville. From Main Street go east on University Avenue, cross Waldo Road, and turn right onto SE 15th Street. Go two and a half miles, and when the road begins to make a 90-degree turn to the left, continue straight ahead across the three-way intersection, through the wooden gate, and down the road to the parking area. The trail traverses an immense patchwork of fields and marshes. The grass and brush along the first stretch can be very good for sparrows in winter. A short side trail here leads to a pond, Alachua Sink, where you can see waders and, during periods of low water, shorebirds. The trail proceeds into wetter habitats, with a drainage canal on one side and marshes on the other, until it reaches the shallow weedy open water of Alachua Lake, the center of the Paynes Prairie basin. La Chua Trail. Photo by Pete Gumaskas, 8 July 2014. 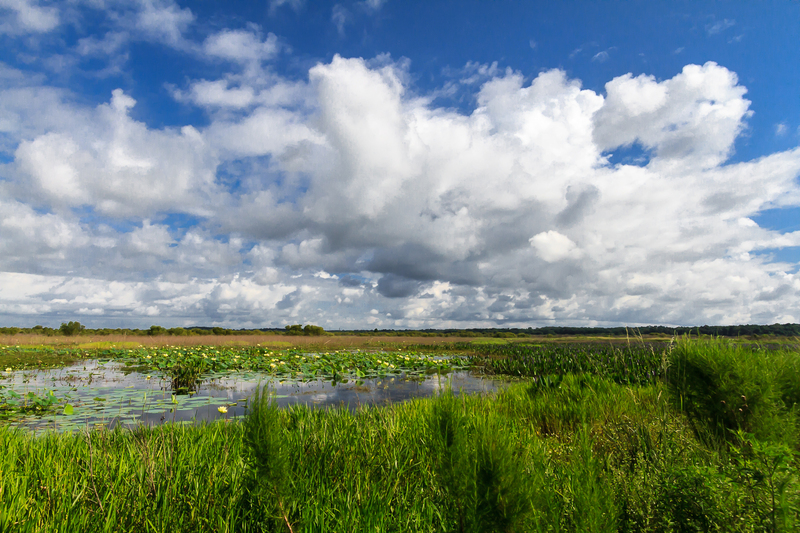 More than 270 species of birds have been found at Paynes Prairie at one time or another, 85 of which nest in the preserve. Summer breeding and resident species include Least Bittern, Great Blue Heron, Anhinga, Osprey, Red-shouldered Hawk, Purple Gallinule, Common Gallinule, King Rail, Great Horned Owl, Blue Grosbeak, Indigo Bunting, Red-winged Blackbird, and Boat-tailed Grackle. Migration is subdued, mostly confined to the arrival and departure of nesting species, although a few shorebirds (e.g., Semipalmated and Pectoral Sandpipers) may show up on the mud in Alachua Sink or Alachua Lake, and there will be occasional swarms of swallows. Late fall and winter, from November to February, are the best seasons to bird the Prairie basin. Look for American Bitterns, Sandhill Cranes (thousands winter here), Northern Harriers, Red-tailed Hawks, Bald Eagles, Marsh and Sedge Wrens, and a variety of waterfowl. There are 19 species of sparrows on the checklist; Vesper, Grasshopper, White-throated, and White-crowned are probably the best of those you might expect to see on a more-or-less average walk, but Savannah, Swamp, and Song are the common ones. A short list of surprises found here includes Greater White-fronted Goose, Snail Kite, Black and Yellow Rails, Black-bellied Plover, American Golden-Plover, American Avocet, Marbled Godwit, Red-necked Phalarope, Groove-billed and Smooth-billed Anis, Alder, Ash-throated, and Scissor-tailed Flycatchers, Western and Gray Kingbirds, Dickcissel, and Henslow’s, LeConte’s, Nelson’s, Lincoln’s, and Harris’s Sparrows. Over 25 species of butterflies may be seen here regularly between March and November. Palamedes Swallowtails, Buckeyes, Sleepy Oranges, Cloudless Sulfurs, Gulf Fritillaries, and Long-tailed Skippers are the most common; the latter three can be quite abundant during their late summer and early fall migration. Wildflowers can put on quite a display, depending on the season, but are especially spectacular in May, when the Pickerelweed and the showy American Lotus are in bloom, and in October, when Marsh Marigolds turn the whole Prairie basin yellow. Alligators are plentiful in Alachua Sink and in the canal that parallels the trail. They are easily seen at all seasons, but especially during sunny days in February and March, when they crawl out to bask by the dozens at the water’s edge. Despite their sluggish appearance, alligators are startlingly quick and can be very dangerous; give them a wide berth. Snakes are present but rarely seen. Mosquitoes and biting flies are not a problem, but ticks and chiggers are, so stay on the trail. Alligators at La Chua Trail by Trevor Persons, 26 Oct 2012. A grassy, hard-packed, 1.3-mile (one-way) trail terminates at an observation platform overlooking shallow Alachua Lake. A spotting scope is a great help here. There is no wheelchair access to speak of, but something might be arranged by calling (352) 955-2135 before your visit. A composting toilet is situated on the right just after you cross the Gainesville-Hawthorne State Trail (be careful crossing). There is no shade beyond the trailhead, and temperatures from March to October can range from uncomfortably warm to tropically torrid and muggy. 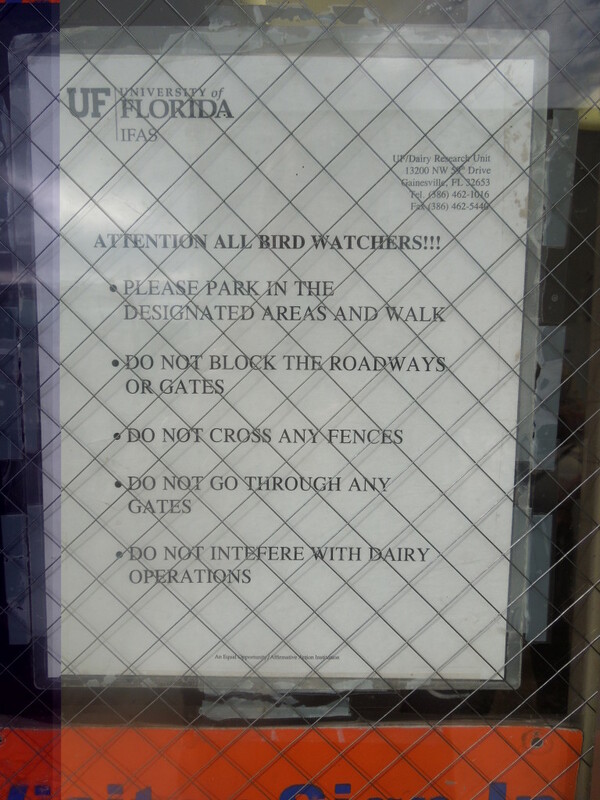 A bird checklist for the preserve is available in the Visitor Center at the main entrance near Micanopy. Open 8:00 a.m. to sunset daily. Admission fee $4.00 per vehicle. La Chua Trail from observation platform. Photo by Trevor Persons, 26 October 2012. Bolen Bluff Trail just above Prairie rim. Photo by Rex Rowan, 7 Sep 2011. 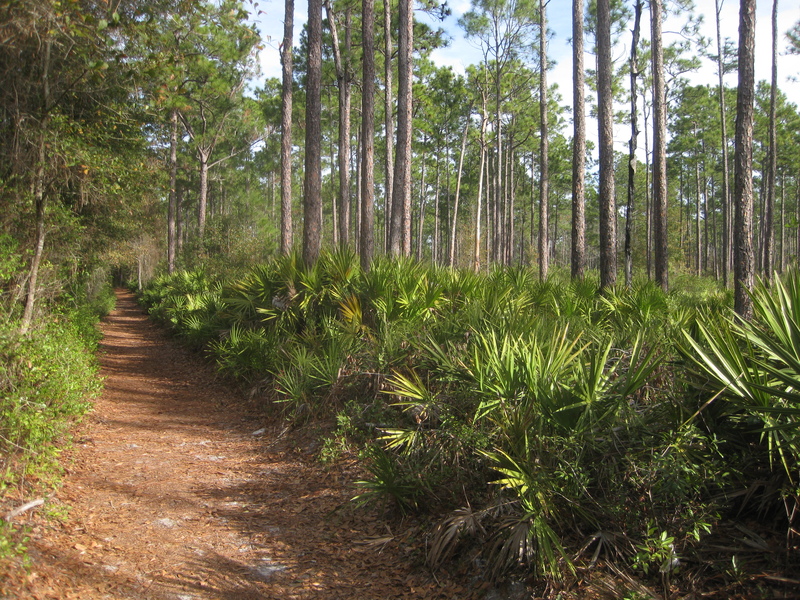 The Bolen Bluff Trail is on the south side of Paynes Prairie State Preserve, about four miles south of town. From University Avenue go south on US-441 (SW 13th Street). You will leave Gainesville behind you, and after another couple miles the road will dip down into the Paynes Prairie basin. Two miles further on, the road rises out of the Prairie, and you will see the parking lot on your left. A Google search for the terms “Bolen Bluff” should result in an accurate location as well as a trail map. The trail is divided into two parts. 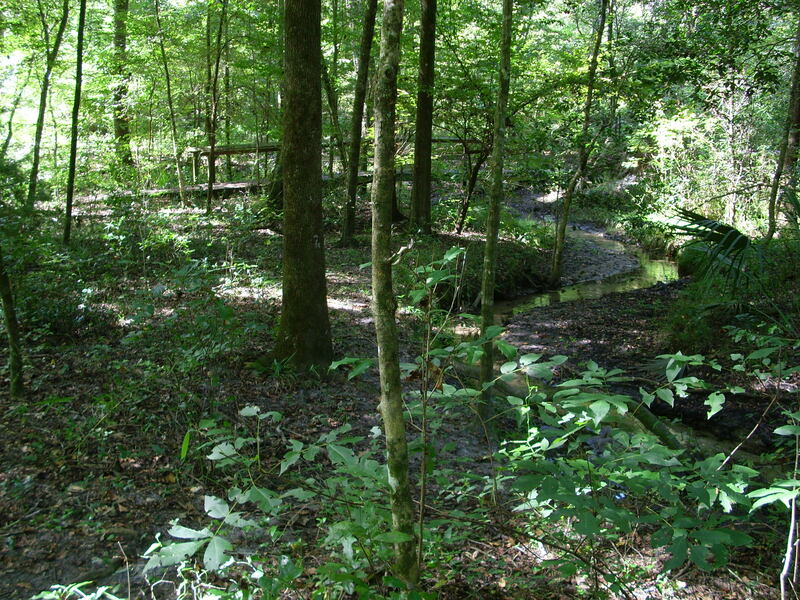 There’s an upland loop, about half of which is dry woodland dominated by laurel, live, and water oaks while the other half is shady mesic hammock forested with swamp chestnut oaks and magnolias; there are a few small ponds along the latter stretch. 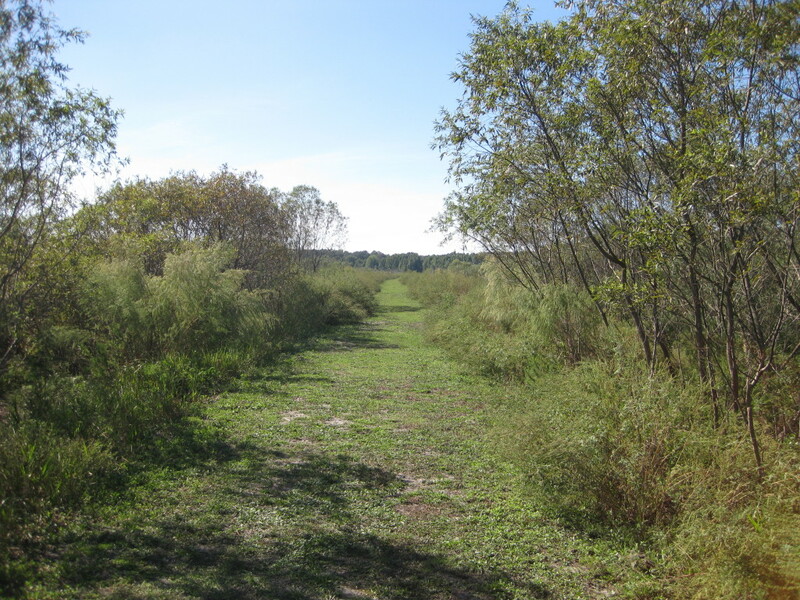 At the far end of the loop, a spur trail, the Bolen Bluff Dike, descends onto the Prairie basin, running through open brushy and marshy habitats for three-quarters of a mile (one-way) to an observation platform. Bolen Bluff Trail near observation platform. Photo by Rex Rowan, 20 Oct 2011. Breeding and resident species include Yellow-billed Cuckoo, Pileated and Red-bellied Woodpeckers, Great Crested Flycatcher, White-eyed Vireo, Blue-gray Gnatcatcher, Northern Parula, and Summer Tanager in the uplands, and Blue Grosbeak, Indigo Bunting, Orchard Oriole, Common Yellowthroat, Red-winged Blackbird, Boat-tailed Grackle, and a few Yellow-breasted Chats on the Prairie basin. Spring migration is modest, but American Redstart and Blackpoll, Cape May, and Black-throated Blue Warblers can generally be found in the course of a season. Fall migration is very good, primarily in the uplands, with 24 warbler species expected between mid-August and mid-October. Thrushes and Scarlet Tanagers should also be looked for during the first half of October. In winter the focus is on the Prairie basin, where the wet brush and thick grass host Sedge and Marsh Wrens, Savannah and Swamp Sparrows, Northern Harrier, Sora, and Sandhill Crane. Among the less common species that have been observed here are Whooping Crane (from the Central Florida introductions), Black-billed Cuckoo, Philadelphia Vireo, and Swainson’s Warbler (upland trail), and Short-tailed Hawk, Black Rail, Short-eared Owl, Gray Kingbird, Wilson’s Warbler, and Clay-colored and Lincoln’s Sparrows (Dike). On the upland loop, mosquitoes are an annoyance from August to November – sometimes not so bad, other times plentiful enough to make you turn around and go home. Especially when birding the Dike, spray your socks and lower legs with insect repellent, or keep strictly to the trail, unless you want to carry home a few ticks and chiggers to share with the family. For butterflies on the Dike, see La Chua Trail, above. Wildflowers are significantly fewer here, but a notable exception to this rule occurs in October, when the entire Prairie basin is transformed into a sheet of yellow by Marsh Marigolds. 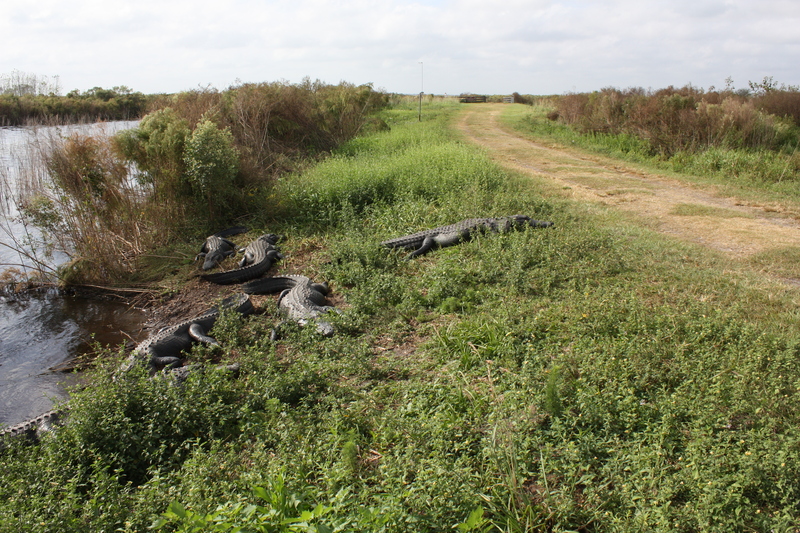 Alligators are almost entirely absent, snakes present but rarely seen. There’s a herd of a dozen (or two) wild horses on the Prairie, which show up along the trail from time to time, and a few dozen American Bison, which are seen rarely. 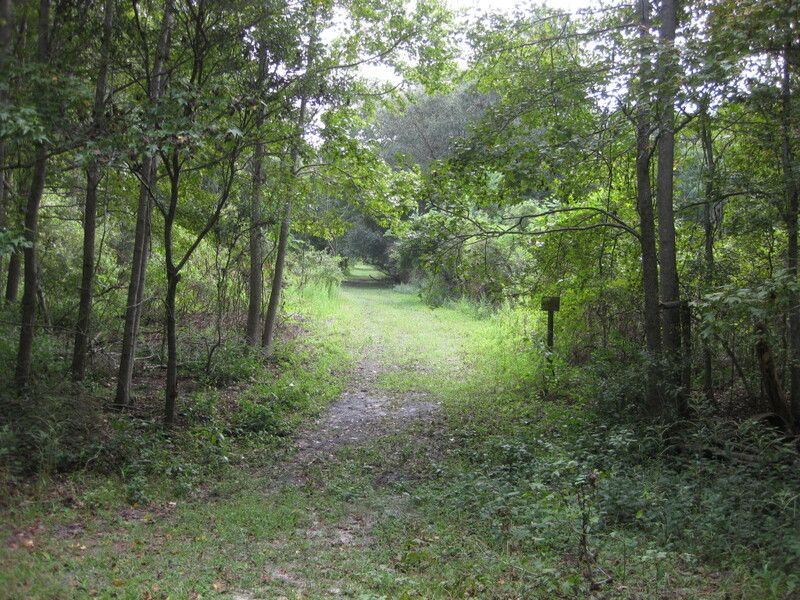 The upland hardwoods loop is 1.3 mile long, and the Dike is 0.75 mile one-way. There is an observation platform about eight feet high at the far end of the Dike. The hard-packed dirt trail is variable in width and occasionally uneven. For wheelchair access contact the ranger station at (352) 466-3397 prior to your visit (otherwise your way is barred by a narrow gate that keeps the horses and bison from wandering onto the highway). There are no restrooms and no drinking water. The parking lot opens at 8:00 a.m. and closes at sunset, and you ignore the closing time at your peril; many a dawdling hiker has found his car locked inside the gate when he returned. Admission fee $2.00 per vehicle. 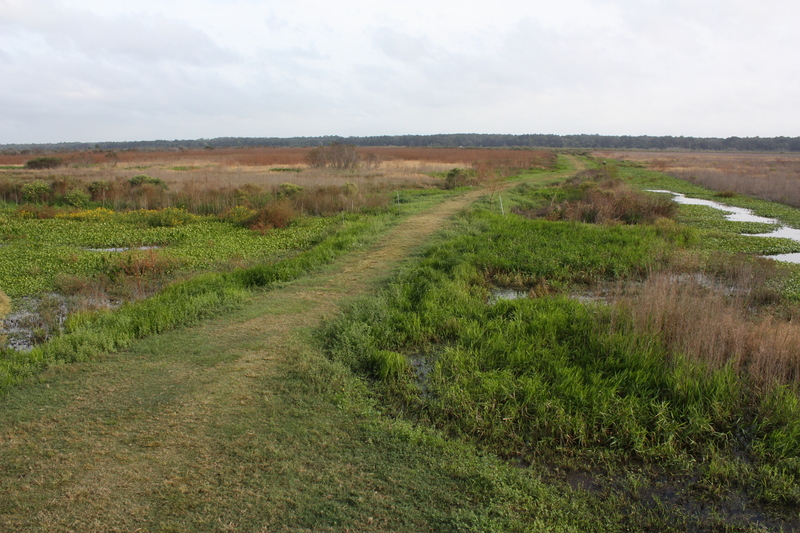 The Paynes Prairie bird checklist is available at the Park Service District HQ (see La Chua Trail, above). Field trip at Palm Point during the first day of The June Challenge. Photo by Rex Rowan, 1 Jun 2015. Newnans Lake is about four miles due east of Gainesville. Going east on University Avenue, cross Waldo Road and bear right onto Hawthorne Road (SR-20). Go 3.5 miles and turn left onto Lakeshore Drive (CR-329B). Proceed 1.5 mile to Palm Point. To reach Powers Park, stay on Hawthorne Road past the turnoff to Lakeshore Drive, go another half mile, and turn left into the park. To reach the Windsor boat ramp at Owens-Illinois Park, continue past Powers Park for two or three miles and turn left onto CR-234, then proceed three miles and turn left onto SE 16th Avenue. Newnans Lake is a kidney-shaped body of water four miles long and two miles wide. There is a narrow rim of Bald Cypress all the way around the lake, and a fairly wide buffer of swamp and mesic forests along the northern, western, and southern shores, with drier pine and cultivated land on the east (Windsor) side. Lakeshore Drive cuts through the woods along the western shore, and the mile north of Palm Point Park is nothing but trees on either side – Sweetgum, Sugarberry, Water Hickory, Laurel Oak, Red Maple, Black Tupelo, and of course Bald Cypress. Breeding and resident species include Osprey, Bald Eagle, Yellow-billed Cuckoo, Barred Owl, Pileated and Red-bellied Woodpeckers, Red-eyed Vireo, Great Crested Flycatcher, Northern Parula, Yellow-throated and Prothonotary Warblers, and Summer Tanager. Wild Turkeys are fairly common in the surrounding forest, and hens foraging with their broods beside the road often stop traffic. Spring migration (April 10 to May 5) is limited: American Redstart and Cape May, Black-throated Blue, and Blackpoll Warblers are among the few fairly reliable species. Common Loons are often seen flying over during the first hours of morning at this time. Fall migration begins in mid-July, accelerates during August, and peaks in early October. 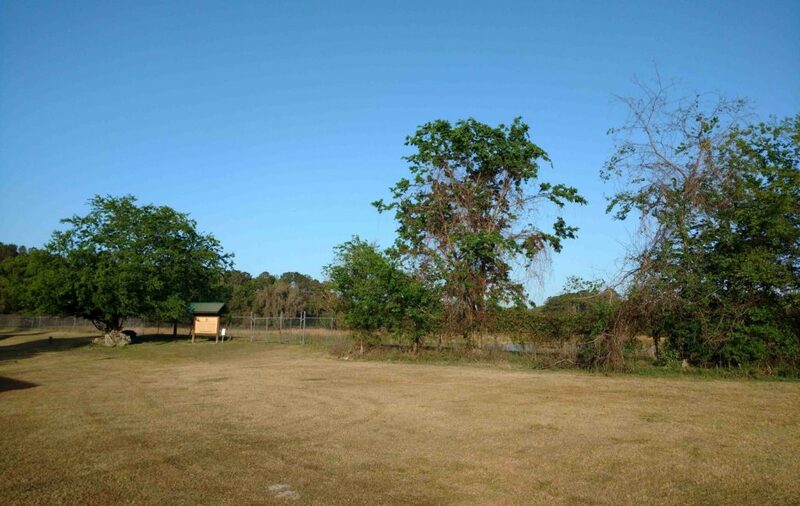 At this time of year, Palm Point Park and the mile of Lakeshore Drive immediately north of it may be the single best place in Alachua County to spend your time. Almost any eastern migrant can show up here: as many as 23 species of warblers have been recorded in a single day, and annual highlights include Cerulean and Golden-winged Warblers. Also look for swallows, vireos, tanagers, cuckoos, and thrushes, and keep an eye out for the one or two Painted Buntings that usually turn up among the Indigos in early October. The raptor migration is small, but Peregrine Falcon, Merlin, and Sharp-shinned Hawk turn up most years. Winter is normally not too interesting, though feeding flocks of warblers (Yellow-throated, Black-and-white, Orange-crowned) and other passerines can make the day interesting. Ring-billed and Bonaparte’s Gulls and Forster’s Terns are generally seen over the water at this season. Some of the less common Species Found over the years are Black-capped Petrel, Leach’s Storm-Petrel, Magnificent Frigatebird, Pomarine and Parasitic Jaegers, and Sooty Tern (after hurricanes – always go to Newnans after a hurricane), Short-tailed Hawk, Golden Eagle, Franklin’s Gull, Gray Kingbird, Warbling Vireo, Winter Wren, Wilson’s Warbler, and Western Tanager. The winter, spring, and summer of 2000 demand their own list of rarities: Great White Heron, Black-headed Gull, Gull-billed Tern, and 30 species of shorebirds, of which a Ruff, a Wilson’s Plover, an American Oystercatcher, Red-necked and Wilson’s Phalaropes, and a Hudsonian Godwit were the most notable. Among the more common of the 20 or so species of butterflies seen regularly at Palm Point are Red-spotted Purple, Hackberry Emperor, and Zebra Heliconian. Large numbers of migrating Cloudless Sulfurs flutter their way south a few feet above the lake’s surface from August to October. Expect to spend a fair bit of your time slapping at mosquitoes from late summer to late fall. Alligators are common in the lake. Snakes are present but seldom seen. Powers Park offers a boat ramp, restrooms, covered picnic tables, a playground, and a fishing pier. Owens-Illinois Park has a boat ramp, restrooms, and covered picnic tables. Palm Point has nothing but birds. No admission fee anywhere. 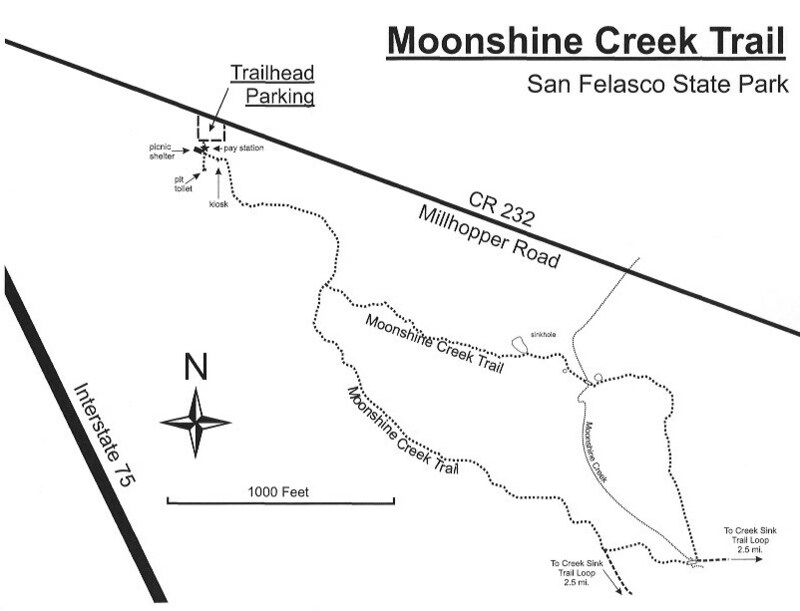 Moonshine Creek at San Felasco Hammock. Photo by Rex Rowan, 15 May 2009. 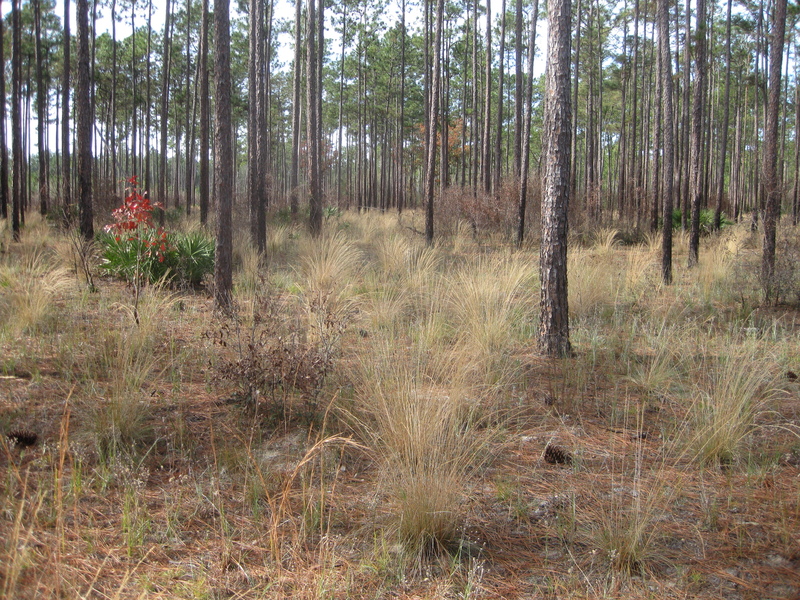 Almost 7,000 acres of deep hardwood forest, with smaller tracts of pinelands and sandhill. The south side, adjoining the parking lot, offers a “Nature Trail” that loops through a sloping limestone landscape pocked with sinkholes and cut by a sinuous little stream – there’s even a waterfall of sorts. On the much larger north side (across CR-232 from the parking lot) a similar landscape gives way to stands of pine in several places. Sandhill at San Felasco Hammock. Photo by Rex Rowan, 15 May 2009. San Felasco is home to Wood Thrushes, Hooded Warblers, Acadian Flycatchers, Eastern Wood-Pewees, Yellow-throated and Red-eyed Vireos, Summer Tanagers, a variety of woodpeckers, and many other species. It’s also an excellent place for spring and (especially) fall migrants; warblers can be numerous, and thrushes particularly like the fruiting Southern Magnolias, Flowering Dogwoods, and Devil’s Walkingsticks. Unusual species observed here include Brown Creeper, Swainson’s Warbler, Connecticut Warbler, Mourning Warbler, and Fox Sparrow. Wildflowers are mostly confined to the sandhill habitats (at their best in late summer and early fall), though the deep woods is the place to find Jack-in-the-pulpit and Green Dragon. Butterflies are not present in any significant numbers. Snakes are rare. Mosquitoes will cheerfully greet you from July or August through October. There are three trails: a mile-long loop begins at the parking lot, while two much longer trails, the 4.8-mile “blue trail” and the 5.7-mile “yellow trail” (named for the colors of the blazes marking the trails), are across the street. Runners often utilize these longer trails for their inexplicable pastime. Wheelchair access is unfortunately impractical due to steep slopes on the north side and soft sand on the south. There is a composting toilet at the parking lot, but no water. Open daily 8:00 to sunset. Admission fee $4.00 per vehicle. Morningside Nature Center flatwoods. Photo by Rex Rowan, 17 Jan 2012. 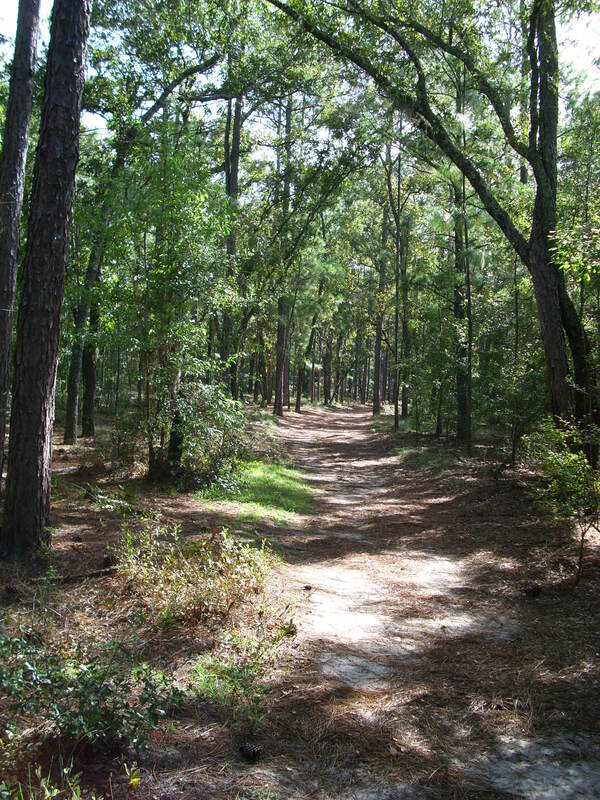 This city park encompasses 278 acres of sandhill and pine flatwoods set in a largely residential area. Morningside Nature Center sandhills. Photo by Rex Rowan, 17 Jan 2012. Eastern Bluebirds, Pine Warblers, Summer Tanagers, Brown-headed Nuthatches, Eastern Towhees, Brown Thrashers, Northern Bobwhites, and various woodpeckers are all resident. The arrival and departure of breeding and wintering species constitutes the only significant seasonal variation; most spring and fall transients that pass through Alachua County spend their foraging time in deciduous woodlands instead. Butterflies can be surprisingly various; a sampling of the species recorded here would include Little Metalmark, Variegated Fritillary, Gray Hairstreak, Pearl Crescent, and all the swallowtails (notably Zebra Swallowtail). There are some very interesting pinewoods wildflowers as well, including pitcher plants and sundews. Snakes are rarely seen. Biting flies and mosquitoes are not normally a problem. There are six miles of trails cut through the pines; the one running south from the office leads to a blind overlooking a feeding station. Restrooms are available in the office building and at the picnic area. The office also has a drinking fountain and a few small nature exhibits. A Florida Cracker farmstead has been recreated off the north end of the parking lot, and for a modest donation you can help feed the farm animals at closing time. A trail map and a bird checklist are available in the office. Open daily, 9:00-5:00. No admission fee. Hague Dairy. Photo by Bob Carroll, 15 Oct 2013. Please do not drive past the buildings north of the parking area. In the countryside northwest of Gainesville, halfway to the town of Alachua. From Gainesville, go north on US-441. 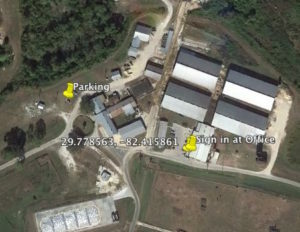 Five and a half miles past the Highway Patrol Station (SR-121), turn right onto CR-237 and go 0.6 mile to the entrance of the University of Florida’s Experimental Dairy. When the driveway forks at the white building, pull left onto the lawn and park. You must sign in at the office, which is along the eastern driveway which connects to NW 59th Drive. Northwest Alachua County is primarily agricultural land of one sort or another, open fields carved out of a rolling hardwood forest. The dairy itself consists of cow pastures and both cultivated and fallow crop fields, separated by lines of big live and laurel oaks and dotted with cypress domes. All the roads surrounding the dairy are worth investigating. 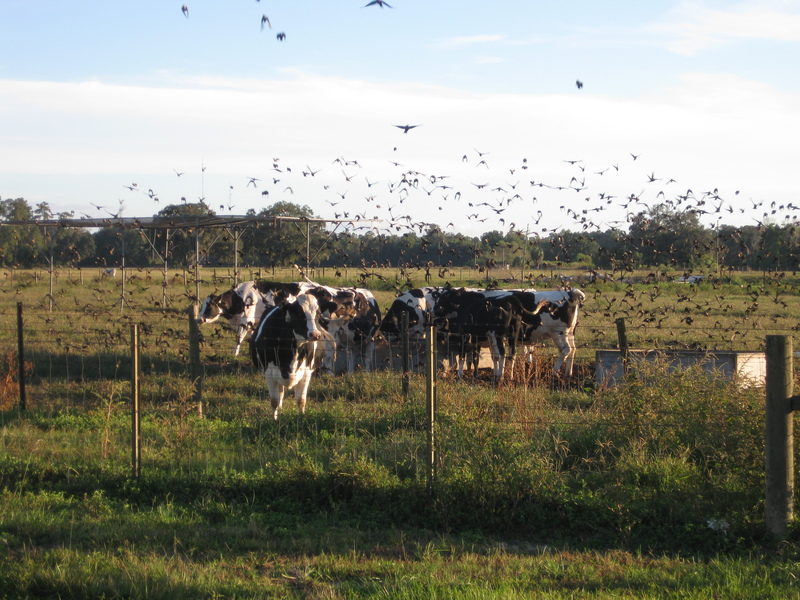 Hague Dairy cows and cowbirds. Photo by Rex Rowan, 29 Oct 2011. The dairy and its environs can be an excellent place to find blackbirds, sparrows, Eastern Bluebirds, Eastern Meadowlarks, and several raptors. Fall and winter are usually the best seasons to explore this area. Beginning in August and continuing through the winter, blackbirds congregate around the big tin-roofed cattle pens by the thousands – mostly Brown-headed Cowbirds and European Starlings, but one or two Yellow-headed Blackbirds usually check in during October or November. Cooper’s and Sharp-shinned Hawks, and the occasional Merlin, make a pass through the flocks from time to time. Some of the less common species that have been observed on the dairy property are Greater White-fronted Goose, Snow Goose, Eurasian Wigeon, Upland Sandpiper, White-rumped Sandpiper, White-winged Dove, Western Kingbird, Nashville Warbler, LeConte’s Sparrow, Lincoln’s Sparrow, Painted Bunting, Dickcissel, Yellow-headed Blackbird (annual), Brewer’s Blackbird, Shiny Cowbird, and Bronzed Cowbird. Not much in the way of wildflowers, butterflies, or other wildlife. The cows can be pretty darned interesting, as cows go. Notice posted by administration at the Hague Dairy. Photo by Rex Rowan, 26 Feb 2015. No facilities. Remember to SIGN IN at the office, which is in a corner office adjoining the dairy’s only parking lot. It should be emphasized that THIS IS A WORKING DAIRY! Birders are only welcome if they remain unobtrusive. Do not get in the way, do not jump any fences, and do not disturb the animals. Local birders have never had any problems here, and we’d like to keep it that way. Y’all hear? Parking area at Chapman’s Pond. Photo by Trina Anderson, 24 Mar 2017. 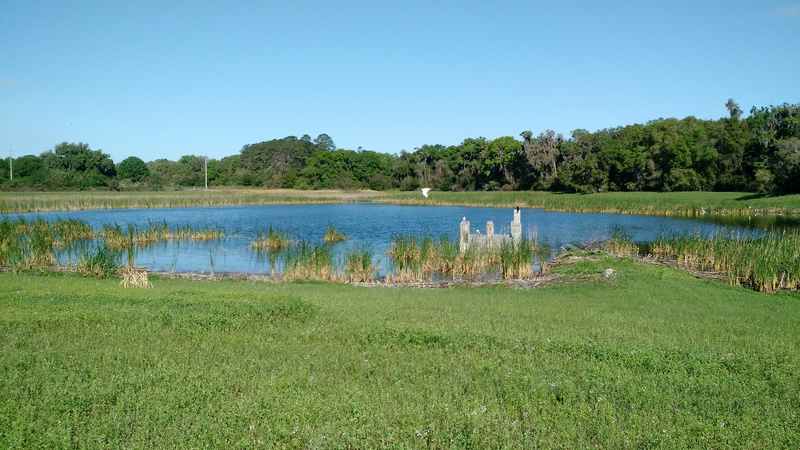 This cooperative effort between Gainesville Regional Utilities and the Alachua Audubon Society capitalized on an existing water treatment pond’s attraction for waders, ducks, and shorebirds. 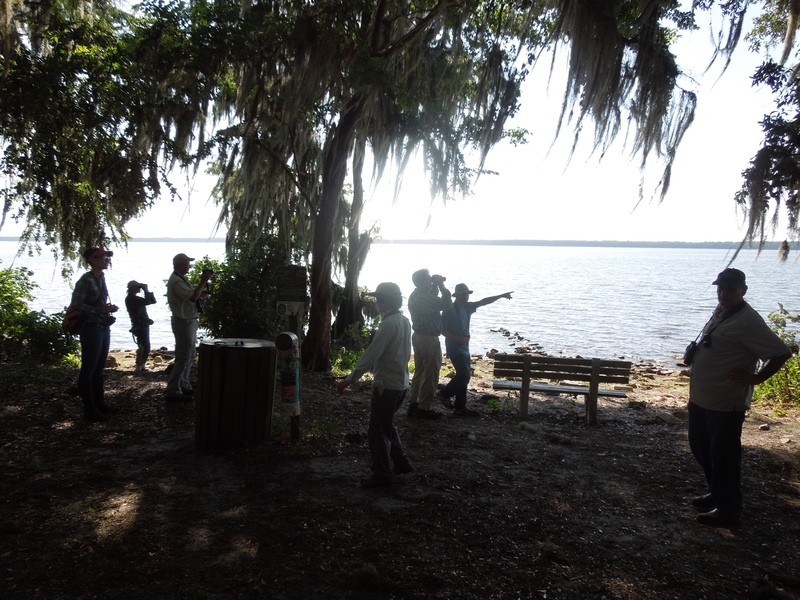 Aware of its popularity with birders, GRU personnel constructed an earthen platform commanding a clear view of the pond. The surrounding habitat is a mixture of brush and dry oak woods. A number of trails are established through the woods on both sides of the pond, allowing plenty of exploration. The distance of one mile circumnavigates the pond. Chapmans Pond. Photo by Trina Anderson, 28 Mar 2016. Worth a look any time from July to May. Migrating sandpipers are the main attraction from July to September and March to May; all the commonly-occurring species and a few that are less usual, such as Stilt and Pectoral Sandpipers, are recorded during the course of a season. During the winter, ducks (including Blue-winged and Green-winged Teal and Hooded Mergansers) and a few sandpipers (including Long-billed Dowitchers, Common Snipe, and Greater and Lesser Yellowlegs) are usually present. Flocks of Black-bellied Whistling-Ducks (often over 30) have been recurrent here since 1998, and pairs have nested here at least twice. A Common Teal (Eurasian Green-winged Teal) was present for several weeks in early 2005 and early 2006. White-throated Sparrows winter in the woods and brush along the path leading to the birding berm. A spotting scope is a distinct asset in shorebird season, but is not always necessary. An inclined path (unpaved, but probably wheelchair accessible) leads to the birding berm. Unrestricted hours, no admission fee. Do keep in mind that the water treatment plant still uses the pond, and often has to flood it – driving the birds away – without notice. Restrooms are available at Veterans Memorial Park, adjoining the Chapmans Pond property.